Our brain is lined with a network of cellular elements which make up the blood brain barrier (BBB). The blood brain barrier (BBB) creates a barrier between the bloodstream and the brain. There are tight junctions present between the network of cellular elements that make up the BBB similar to the tight junctions in the cells that line up the digestive system. They form a diffusion barrier selectively monitoring the entry of substances into the brain. So the blood brain barrier is our brain’s protective barrier that allows essential nutrients to cross over into the brain but prevents toxins and other harmful particles from crossing over. What are the Signs and Symptoms of a Leaky Brain? Headaches – One of the signs and symptoms of a leaky brain is headaches. A review published in 2000 in the Neurosurgical Focus Journal suggested that an abrupt onset of a severe and unexpected headache may be signs and symptoms of a leaky brain. The review also stated the pain is worse when an individual is standing and becomes more severe throughout the day. 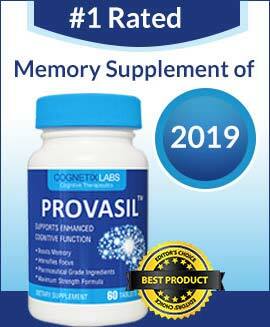 Cognitive decline – Cognitive decline including memory loss can come about for several reasons including a dysfunction in the blood brain barrier. A review published in 2014 in the Front Aging Neuroscience Journal observed that a dysfunction in the blood brain barrier (BBB) may contribute to cognitive decline which is often observed in patients with dementia and Alzheimer’s disease. Chronic fatigue syndrome – Chronic fatigue syndrome causes constant tiredness that doesn’t go away even with sleep or rest. A review published in 2001 in the Medical Hypotheses Journal found that a change in the permeability of the blood-brain barrier may bring about the continuing signs and symptoms found in chronic fatigue syndrome. There is a relationship between our brain and digestive system. Whatever happens in our gut has a direct impact on our brain function. A study published in 2014 in the Advances in Experimental Medicine and Biology Journal demonstrated a clear relationship between changes in our gut flora (the bacteria in our gut) and our brain function. The small intestine and the stomach are lined with epithelial cells that are connected together by tight junctions similar to the tight junctions in the blood brain barrier (BBB) of the brain. These tight junctions prevent particles that are not supposed to enter from entering into our gut and only allow essential nutrients in. Various factors such as stress, infection, changes in our gut flora, a poor diet and food sensitivities can cause the tight junctions in our gut to become more permeable and not work properly, the tight junctions will no longer be able to prevent the wrong particles from entering in. Our gut lining becomes inflamed and leaky. Gluten can also cause the tight junctions to be more permeable, making the intestinal barrier and blood brain barrier weak. A research published in 2011 in the Physiological Reviews Journal stated that zonulin is the only substance that regulates the function of the tight junctions in the blood-brain barrier of brain and the intestinal barrier of the gut. Another study published in 2006 in the Scandinavian Journal of Gastroenterology Journal found that gliadin which is a protein present in wheat and gluten increases zonulin; when zonulin increases, it makes the tight junctions more permeable preventing it from working properly leading to a leaky gut and a leaky brain. 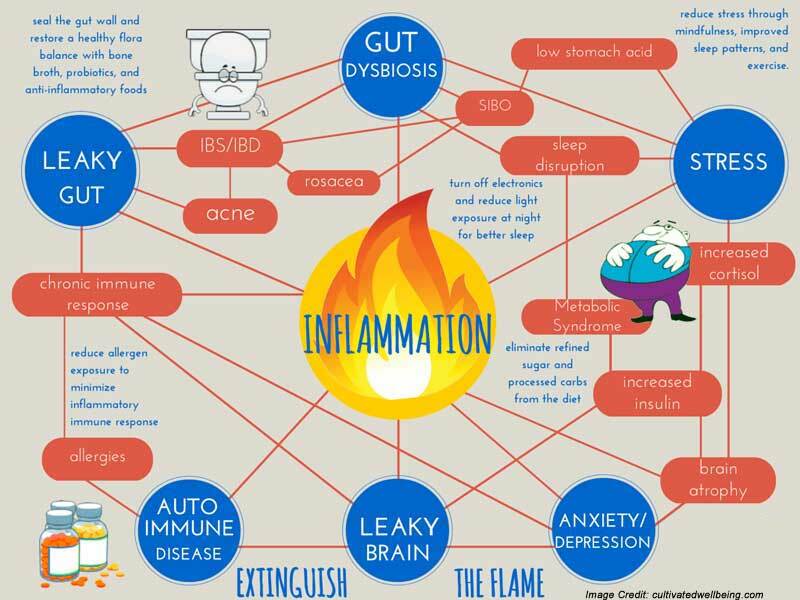 Inflammation isn’t completely bad, it helps to bring protection and restoration to the body after an illness or injury or trauma or a stressful situation but if the stimulus persists and inflammation becomes prolonged, it becomes chronic and harmful. A new research report published in 2014 by scientists in the FASEB Journal found that inflammation makes the blood-brain barrier weak preventing it from working properly. This allows toxins and other harmful particles entry into the brain. To treat a leaky brain effectively, it is imperative that any issues with the gut is also addressed because of the connection between the gut and the brain. Gluten should be eliminated from the diet, it has been shown to increase zonulin which increases the permeability of the tight junctions, causing the blood brain barrier to break down. 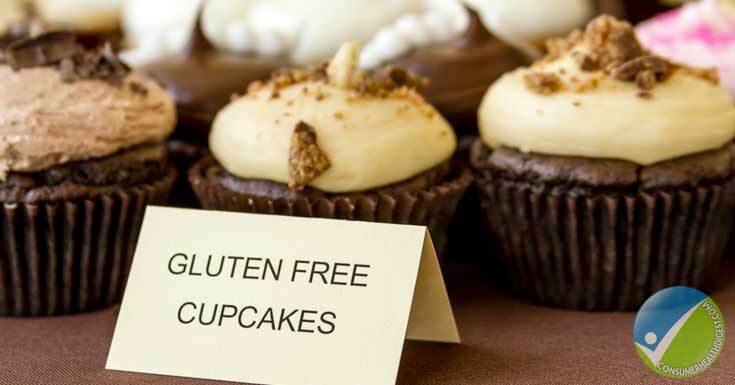 It is important to eliminate any other food you may be sensitive to from your diet. 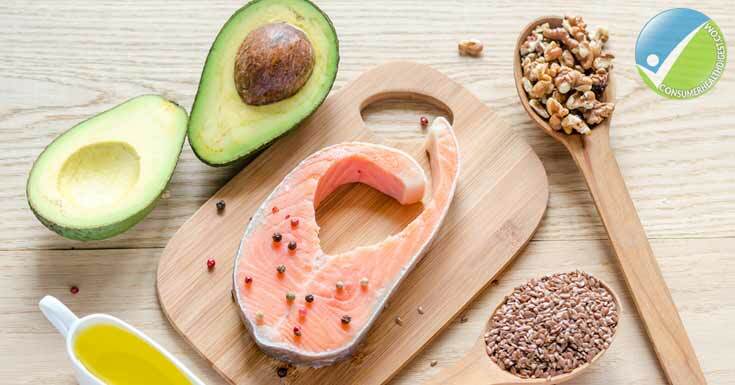 Food sensitivity has been linked to inflammation. A review published in 2015 in the Paediatrics International Journal found that some individuals react to food and other proteins as though they were pathogens causing inflammation of the mucosal barrier. Inflammation needs to be addressed to identify the root cause of inflammation and get rid of it. It is also vital to manage your stress. Stress has been linked to leaky gut and inflammation. A study published in 2013 in the Biological Psychiatry Journal found that stress increases inflammation and intestinal permeability (leaky gut) (12). coconut oil should also be included in your diet to support the function of your brain. Processed food including sugar should be eliminated from your diet; it feeds the bad bacteria in your gut, creating changes in your gut flora which can have an impact on your brain function. A dysfunction of the blood brain barrier which leads to a leaky brain has been linked to various neurological diseases including dementia and Alzheimer’s, depression, and schizophrenia so maintaining a healthy brain function is vital. You may also go for a supplement like Plexus EDGE, as it might be beneficial for optimum brain health and wellness.